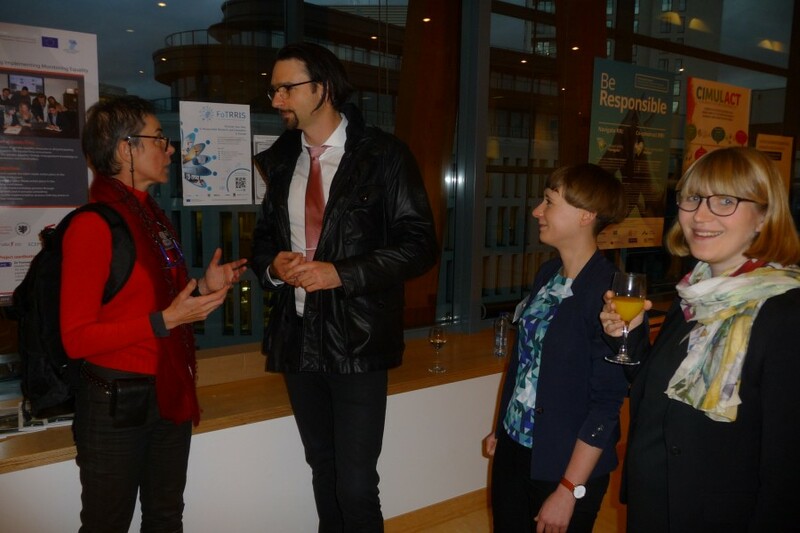 Both Zoltan Bajmocy from ESSRG (Hungary) and Marian Deblonde from VITO (Belgium) attended the conference “RRI Shaping new Horizons: Responsible Research and Innovation in Europe and across the World,” which was held on 14 and 15 January 2016 in Brussels. The Go4 final conference presented key results of the 4 EU-funded FP7 projects: GREAT, Res-AGorA, ProGReSS and Responsibility. Marian Deblonde gives us her impression of the event. One highlight of the conference, in my view, was the session ‘Voices from around the World’: speakers from the US, Australia, Malaysia, Sout Africa, China, India and the Philippines (part of the ProGReSS team) provided snapshots on how RRI is perceived or operationalised globally. Michael Davis (US) stressed the importance of interactive involvement in research from the beginning, Rohaya Mohd Nor (Malaysia) questioned ethical standards at universities because she perceives them as superficial. David Kaplan (South Africa) argued that research processes and products should be attuned to the needs of the poor, Sachin Chaturvedi (India) mentioned the issue of “distributive justice” as extremely important in case RRI aims at realising “open access” and “inclusion”. Fatima Castillo (Philippines) proposed to organise a next RRI meeting in Asia or Africa so that members of Western research and innovation communities can see how innovations touch the lives there. A representative of the San People from South Africa mentioned the great outcome of collaborating with scientists: the common construction of knowledge and distribution of its benefits. Res-AGorA presented the ‘Responsibility navigator’ (www.responsibility-navigator.eu), that provides ten governance principles and requirements to make research and innovation activities more responsive to societal challenges and concerns. And Responsibility presented and demonstrated its Observatory and Forum (http://observatory-rri.info/). At the end of the first day of the Go4 conference, an “RRI Fair” was organised: a poster session that offered us an opportunity to present and discuss our Horizon2020 RRI-project.